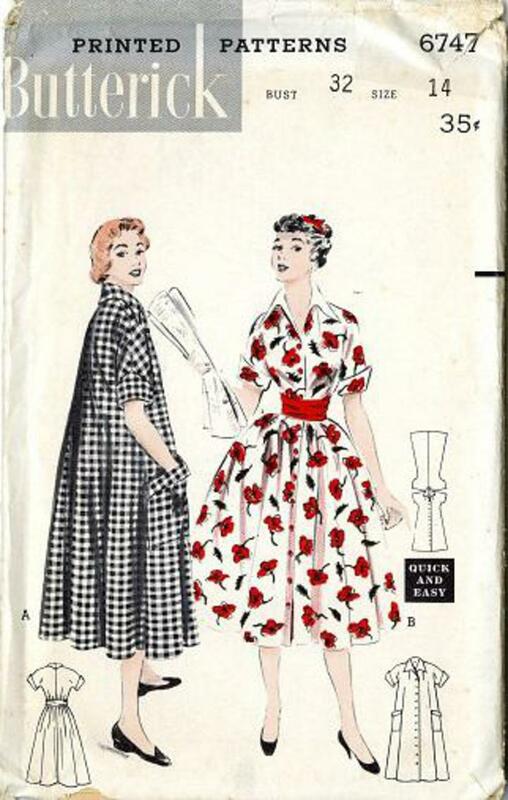 1953 Butterick #6747 vintage sewing pattern, misses' button-front 'morning dress' or day dress, size 14. 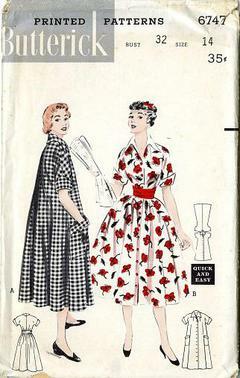 Toast and coffee special....button-front dress to wear loose or belted. It's perkily detailed with a winged collar that's pointed in back to match the cuffs on the short sleeves. (A) oversized patch pockets. (B) contrast collar.